It has been almost 6 months now since SEOPressor started doing content marketing and I’m not going to lie to you, just like almost everything else in the world, it’s difficult in the beginning. Content marketing is used to tell the brand story, to attract people on search engines, connect with readers through blogs, educate consumers, and improve SERP ranking. Content marketing is a big part of inbound marketing, and inbound marketing is the new marketing strategy that many businesses are leaning towards. There are many other reasons to start a content marketing strategy, but there are also numerous challenges that make content marketing one difficult task to complete the right way in today’s media environment. They’ll tell you that length doesn’t matter, but everyone knows that longer is better. If you look at the data from various reputable sources, you will notice that length does matter. 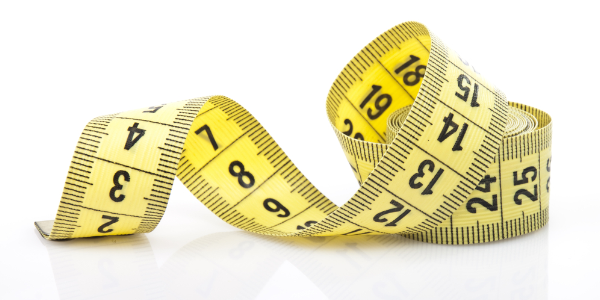 Longer posts, articles, and blogs perform much better on different levels. Let’s take a look at the reasons why this proves to be true. First of all, a higher word count will normally result in a higher level of search traffic. Although there are more than 200 ranking factors that will influence your rank on the SERP, a lot of evidence points in the same direction. It shows that more content on your page creates a higher probability that you will show up in a top position on Google, Bing, Yahoo, and other search engines. It has been noticed by many industry professionals that the first page results usually have content that exceeds 2,000 words, so this creates a challenge for marketers and website managers to create longer content. This is a time consuming process that creates a whole market for content mills that will provide the content for a price. 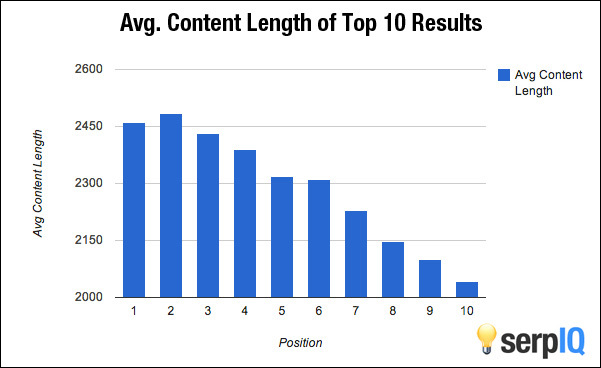 SerpIQ did a study on content length and found that the average content length of Top 10 results have more than 2,000 words. However, this does not mean that you should puff your content up with fluff just to make it longer. The challenge of content length poses a scenario in which you have to spend more time to research, write and edit to create longer and better content. The time investment can get overwhelming without a content team because you will need to conduct keyword research and create a strategy for the content. However when you have longer posts, you will create more opportunities for backlinking, include more targeted long-tail keyword variety, and have the ability to thoroughly educate your clients with deeper discussion of your topics. Users will spend more time on your site, and all these factors stated above will generate generous amount of SEO juice for your site. Completing the work is the hard part, but after you are done with creating more content, search engines will have more content to index. When you have more content to get indexed, your search result performance will improve. 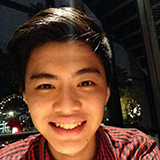 Is creating long content a challenge? Yes! Is it worth the effort? Yes! Spend as much effort promoting your content as you did creating it. Promoting the content you’ve create is as important as creating it. As a marketer, you may be skilled at developing great content, but could fall short when it comes to promoting the content to the right audience, in the right place, and at the right time. This is sometimes a challenge because your content needs to find your users in a way that doesn’t interrupt their day. You can’t expect users to develop a community around your content on their own without promotion. 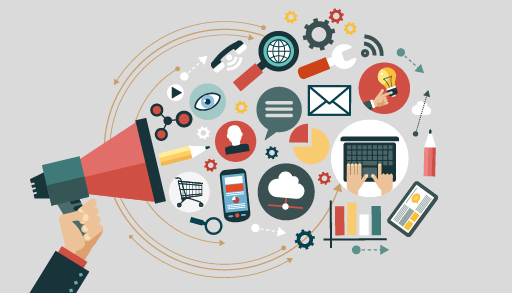 It is your task to promote your content in a way that develops connections to your target audience on avenues that consumers use. Make your content easy to discover, engage, and share. Some of the most effective ways to promote content online are organic search (SEO), paid search(SEM), email marketing, social media marketing, retargeting, and programmatic ad placement. Although we can delve deeper into this topic, promoting content is an art, and it can be a challenge to cut through the noise in your niche market. Promote it on social media, communities, comment section, emails, whatever medium you can. Be proud of your content and show it off to everyone. Get creative in your promotions, and integrate your systems holistically. Search traffic, also known as organic traffic, is definitely the better source of traffic compared to referral, direct, or social traffic. There are many reasons why we prefer search traffic over the other sources of traffic. Firstly, search traffic are more sustainable in the long run. Once your content have ranked for certain keywords, your content will generate traffic consistently over a long period of time. As compared to referral or social traffic, which will get a spike in traffic whenever you do a promotion, but quickly dwindles back down to zero after a day or two. 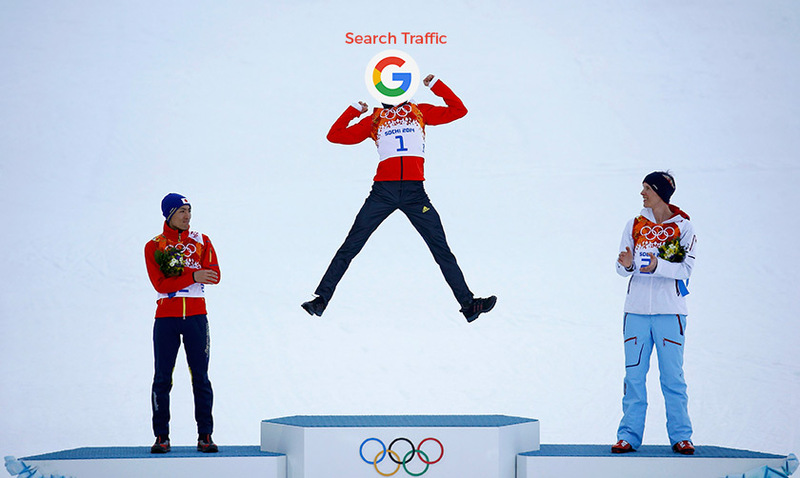 Search traffic are also better because high chances are, they are new and unique visitors. Visitor from search traffic can be anyone who search for a particular keyword, which means that these visitors are actively looking for content that you’ve written and they are most likely your target audience. Visitors that come through your content promotion strategies however, are visitors that have probably been to your website before. One of the biggest hurdles of SEO is that you will never “own” or maintain your ranking on search engines, and your content traffic can fluctuate based on many algorithmic factors. Everything with search engines is constantly dynamic, so you will always need to work hard for the visibility of your content. In addition to this challenge, your competition are constantly trying to take away some of your traffic, sales, and market share with content of their own. Although search traffic is the best traffic, it will take a lot of financial, and human resources to maintain a high rank for your content. There are a lot of factors that play into having a lot of search traffic, so you need to constantly stay updated on the news in SEO. This will help you manage your content marketing strategy. Just remember to promote on social media because social signals are a great way to get a boost in organic traffic, so a holistic strategy will work best for your organic strategy. There are many who are skeptical about SEO, saying that SEO is no longer a legit practice and that Google is trying to disavow any SEO practices with each new algorithm update. 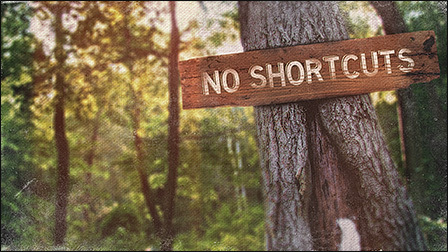 This debate has been ongoing for years but the matter of fact is, SEO is not dead. Creating high-quality content is a really good strategy, but keep in mind that everyone else is doing it too. So how does Google decide which is the best content to rank? Here’s where SEO comes in, SEO gives you a competitive edge over your competitor and whoever does the best SEO and best content will deserve to be on the SERP. The importance of SEO begins to play a part way before you ever make any changes to your blog pages. In order to get the highest-quality results, you will need to research the keywords that people are using to search material related to your blog topics. Knowing this, you will need to include these short-tail and long-tail keywords in your postings. You will need to understand how your competitors rank, and what keywords they are optimizing for. Then you will need to develop your content around your research. Sounds challenging doesn’t it? Don’t worry it will get easier with time. 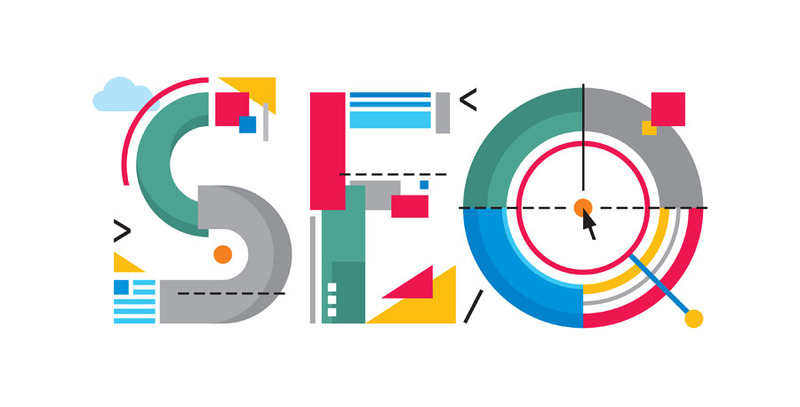 SEO is challenging because it is an Art more than science. For example, when you link to something, you need to include your keywords in the link, in picture filenames, and other areas of your page. Otherwise, all your great content will be INVISIBLE. 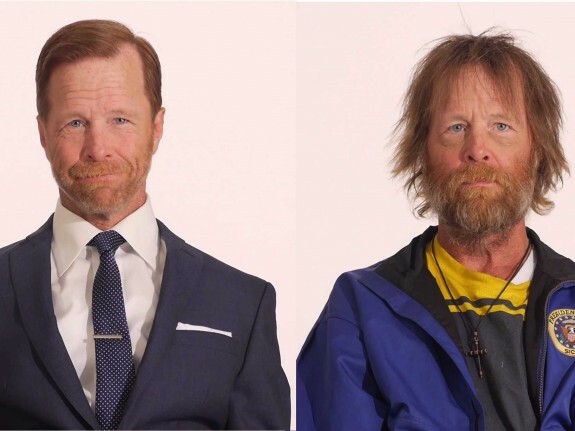 Hate to break it to you, but people do judge a book by its cover. Most people skim through articles before deciding whether they should read it word by word. So if your articles are just a wall of text, people are just going to turn away. First things first, feature image. Design a nice and interesting feature image. You can do this with tools like Canva and use beautiful stock photos from Unsplash. Insert relevant/interesting/funny images throughout your article to elaborate your point. This will make your blog interesting and make it easy for your readers to skim through your content. This is where the challenge comes in, because it has been established in the industry that engagement is a lot higher when someone can have a quick look at your blog post’s main image and they instantly know what they should expect after they click through into your post. This is where some creative thoughts come in. The next visual cue to get noticed is how many pictures are there in your blog. As a blogger, you should aim to have a text to image ratio of approximately 75 – 100 words for every image. This will please the eyes of your reader because they deserve a break from text with a nicely designed image. 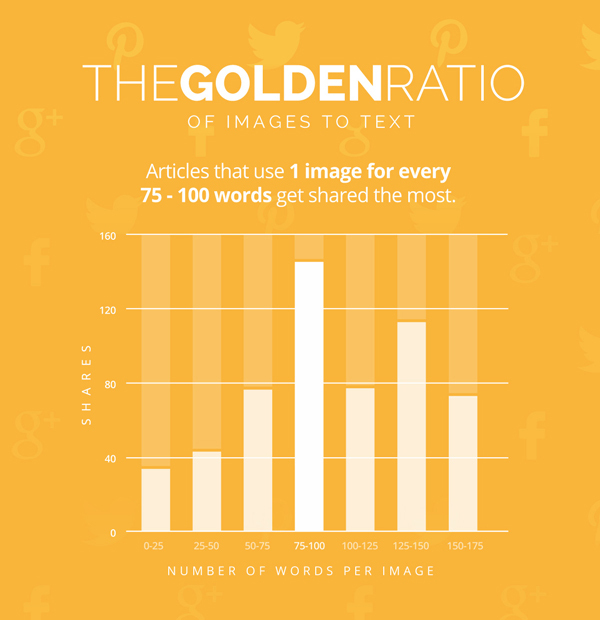 Studies have shown that articles with 75-100 words per image gets shared the most. Doing this will also give you an opportunity to increase SEO juice through using alt attribute tags in the images, and more of your images will show up in Google Image searches. Using the right tools for the right job makes things much easier, and you don’t need to add any more difficulty to your experience. Remember the importance of using the right format to present your information. Think about tables, infographics, lists, podcasts, videos, etc. Each of these types of content have a purpose to serve, and you should always remember that any one of them can be repurposed for different reasons. For example, if you have a podcast, you can turn that content into a video without much difficulty. You can turn a blog into a SlideShare, and use it on different social media channels. Remember that you should have a content plan for your blog, and create text around the other communications tools. Sometimes a list can provide a lot more information than a paragraph of text, so use the right format for the right occasion to make things simpler. Another aesthetic factor to think about is the actual text itself. Text decorations can have an impact on your SEO juice. As we know, bold letters get attention from people, and this is also true for search crawlers who index important text. When you use decorative tags on important keywords, you will help the crawler to help you rank higher. Finally, always use sub-headers to split up the content. Sub-headers help to make the blog easier for the reader to move through. All you have to do as a blogger is make it easy for readers to skim through your article, and these tips will help you achieve this goal. If you think your job is done after clicking the publish button, you’re wrong. Clicking the “publish” button is only half the job done, there are many things you should do after publishing. First, you need to begin sharing your blog on various social networks in order to get maximum exposure and traffic. You can also email your subscribers, notifying them about your new content and hope that they will share it widely. You have to seed the content in different network groups in order to spark the viral process. Once you started sharing the content, look at various data of your content, analyze it, and react accordingly. Ask your friends to share the content to their social networks, and you can also start building as many backlinks as possible. After you shared the content with any relevant media sources, you should start building the SEO strength of the article. If you’ve done the due diligence with on-page SEO, then you have to put in some effort for the off-page SEO. Build a strong backlink profile for your content so that Google understand that your blog is valuable to other high rank sites. Having other sites link to you will be a strong point for the crawlers. Remember to keep track of your overall ranking, ranking of current competitors, and new competition arising in your niche. Never stop promoting your content just long as your content is relevant, because you never know when someone will be interested. You can always update you current content if there are industry developments that impact your blog. These updates will be seen by Google as fresh content and will boost your SEO juice. 7) More Of Me And Less Of You. Writing articles that provide actionable advice is great, and the fastest way to convey a message that readers will remember is through a personal account or story. Readers love to read about your personal stories, and storytelling is a great strategy for content marketers to use in a blog. Just like a movie moves a viewer through a storyline, readers love articles about your personal stories, so give them what they like and make a connection with your readership. The story can include your experience, what you’ve done, what you’ve learned, case studies, experiments, etc. For example, this post itself is about the lessons I’ve learned after 6 months of content marketing, this article is unique because different people might have learned different lessons. Be as transparent as possible and share your experiences to develop a higher level of engagement with your content. After sharing your personal story, provide actionable advice or suggestions that your readers should take. Stories help people understand the world around them, and history shows that stories have been exactly the way that people of all cultures make sense of their surroundings. People and society flourishes on the stories that help them put things into a better perspective to navigate the large amount of data in the world, facts, and different realities of life. Stories provide people with a sense of security to deal with daily life, which is why they make an impact for the readers of your content. If your blog can use a story to show how something you’ve learned can be beneficial, people will develop a stronger connection with you, your blog, and the entire community around it. It’s people that your blog connects with, and people tell stories to each other. 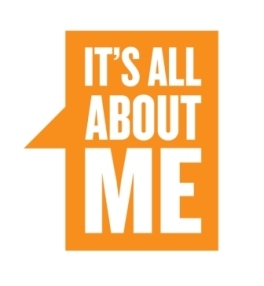 Understand who you are communicating with, and cater your communications with relevance for the best results. People will not connect with content that doesn’t offer an emotional connection, so develop stories around your topic to make that connection. If you want to get good at something, you will need to devote time, effort, and energy to improve your skills. There are no shortcuts to get good at anything, and writing great content for your blog is no different. You should delve into the world of content marketing and read as much as you can. As a blogger you will need to wear different hats throughout the day, and devote the time to learn all the intricacies, and some things can only be learned with trial and error. So get out there and fail intelligently while you learn from each mistake. It will make you stronger. It took me 6 months to learn these lessons in this blog, and this is how long it took to get us (SEOPressor content marketing team) to where we are now. Reading this article might save you a few months of time to learn, but don’t expect overnight success. 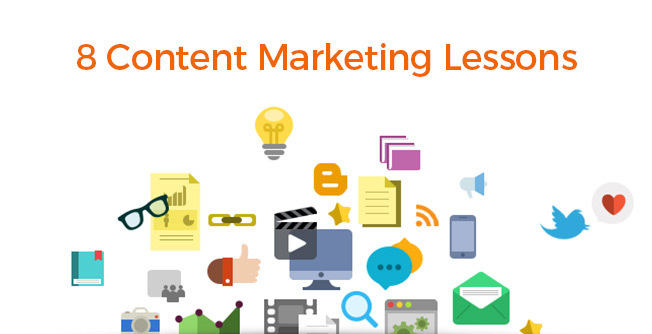 Content marketing is a long term investment and it takes a lot to achieve success. The most important lesson is to enjoy what you are doing because it will be easier to get good.